What you should do if your vehicle is recalled. The most important part of any recall is ensuring the safety of the occupants of the vehicle. Vehicle manufacturers want to make sure that when you drive off the lot in your new or used vehicle that you and your loved ones are safe. If a new or potential issue arises, manufacturers are required to send out a notice informing you about that issue. Often, that notice is sent before parts are even available to resolve the issue. You’ll be given information on the specific defect of your vehicle along with instructions on where to bring it in for repair, which is usually the dealership. Once parts are available, the dealership will address any issues with the recall and replace any parts that may cause future problems. Only defects that could be a safety threat will result in a recall. Routine maintenance is the owner’s responsibility and separate from recalls. 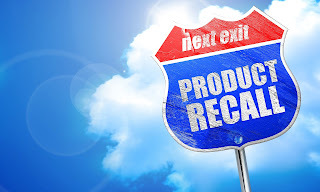 Some examples of recalls might include windshield wiper arms, transmission, steering, fuel systems, airbags, and seat belts can all be included in a recall. If you’ve never had a recall before, don’t worry about a costly repair, these issues will be repaired at no cost to you. For obvious reasons, don’t take a recall lightly. To see if your vehicle has outstanding recalls, visit the Fiat Chrysler Automobiles (FCA) website or here. Drivers can enter their vehicle identification number (VIN) to determine whether their vehicles have been affected. Melloy Dodge is here to answer all the questions and concerns about recent recalls. Some parts may not be available upon receipt of the recall postcard. We specialize in Dodge and Ram vehicles and we’re located at 9621 Coors Blvd NW, just north of Paseo Del Norte. If you live in the Albuquerque area, please feel free to make an appointment with our service department. You can also submit an inquiry online at Melloydodge.com.